JioFi 2 MiFi Device for Internet Sharing is now available openly at Reliance Digital Stores for everyone. Previously there was a rumor that it will be launched on Independence Day but it is already out in many Reliance Digital Stores across India and this news is confirmed by Techpp. This offer is valid only with Jio 4G Preview Offer so the one who are eligible to get Reliance Jio Sim can only purchase this JioFi Device. Previously we have shared 5 methods to get Reliance Jio Sim which helped many users to get there free Jio 4G Sim. So after introducing Jio 4G Preview offer to the users, Reliance is now launching JioFi Hotspot Device for their customers. 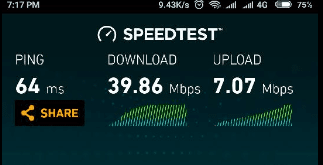 This will help you to share your data at faster connection rate to multiple devices simultaneously. JioFi 2 is a 4G supported Hotspot Device which helps you to share your connection with multiple devices at a time. This device will cost you Rs. 2,899 at Reliance Digital Stores. This device works on the basis of charging and you need to charge it around 3 hours to make it full charge and then it can work till 6 hours of backup. Bonus Offer: Upon downloading JioJoin app, users will get additional unlimited video and voice calls. Special Note: You might need to verify all documents before purchasing this. 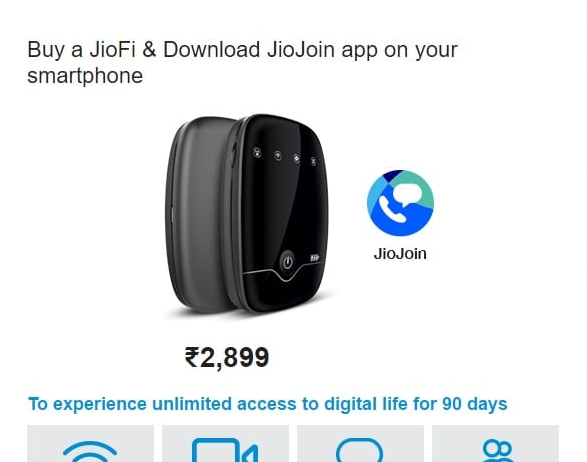 We have already shared in our previous post that JioFi Device was exclusively available under HP Jio Preview Offer for selected customers but now it is openly available for everyone. I hope you will get your free Reliance Jio 4G SIM as well as JioFi 2 Hotspot Device Infocomm, but some Reliance Digital Stores still doesn't have this so you need to check with all available store for the availability.